Boni Ilagan, a former political detainee, and Neri Colmenares, a church volunteer during Martial law recounts their own traumatic experiences in the Marcos regime. They were hurt to hear from Bong Bong Marcos himself that they were just plain political detractors who were only after the Marcos family’s money. But from the victims themselves, they felt that its time for them to discuss their own experiences during the martial law. Boni recounts how he was tortured and how her sister was raped by the military men. 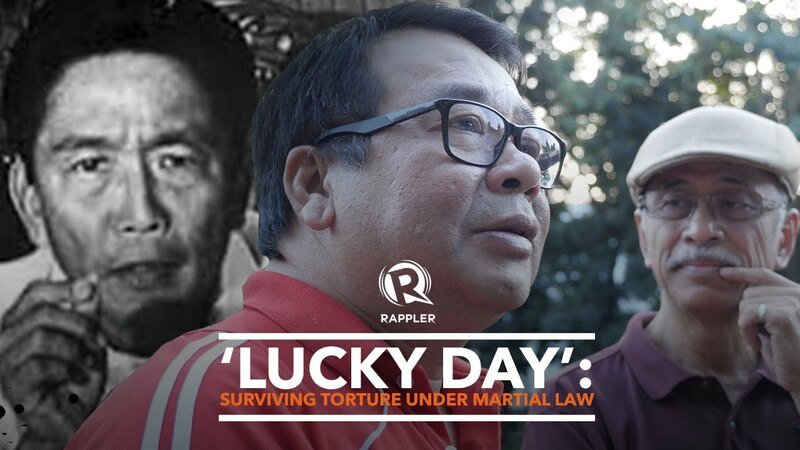 It was painful for him hearing from Marcos son that they were only after money after all the gruesome experiences they had during the martial law. Neri Colmenares, a Bayan Muna representative recounts an incident in their province where he was a church volunteer. There were dialogues between them and the military so Neri remembers how a military official talk to him by conducting a Russian roulette during an interrogation. These were only some of the thousand experiences of the Martial law survivors who were denied by the Marcos’s.